Gizmochina has teamed up with Xiaomi to gift one of their fans with a brand new smartphone! To enter in this Xiaomi Redmi 7 Smartphone Giveawaygrab your free entries by following few simple steps listed down below! 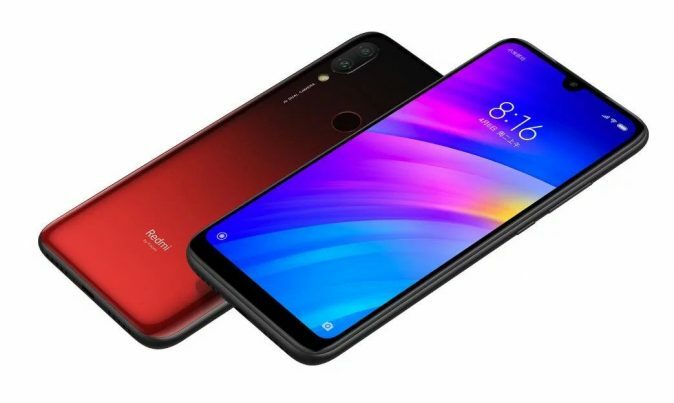 Redmi 7 is a great budget phone from Xiaomi, powered by Snapdragon 632 processor with 1.8GHz and Adreno 506 GPU with 725MHz. Xiaomi Redmi 7 looks incredible because of the sleek curved back cover and stylish gradient design. The handset comes with 6.26-inch HD display having the resolution of 1520×720 pixels. It hosts 19:9 aspect ratio featuring the dot drop notch. There are 12MP+2MP dual rear AI camera with f/2.2 aperture. In the front side, it carries the 8MP camera, and you can use it to take vlogs. The Redmi 7 is fueled by 4000mAh build-in battery which is totally enough for daily use. What’s more, the great handset ships with dual Nano-Sim card slot and a micro SD expandable card slot.